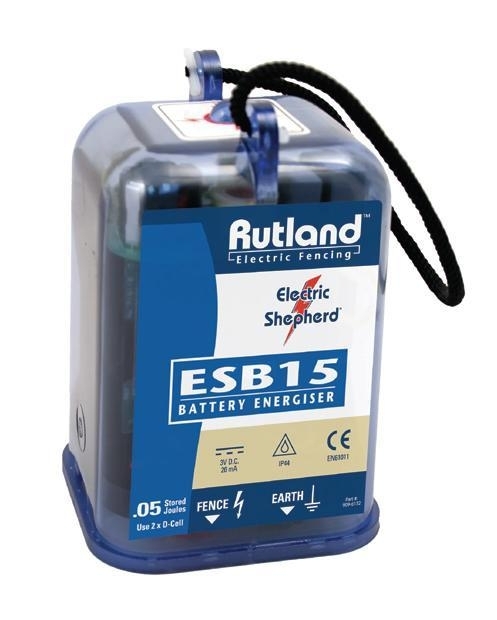 ESB 15 Battery Fence Energiser. Dry Battery Powered Energiser for temporary fencing. For use in remote locations or areas without mains AC power. Power supply recommended 1.5v "D" cell alkaline battery(not included), expected battery life 35 days Distance rating 0.8 km no vegetation. Ideal for horse paddocks, strip grazing etc.